A federal prosecutor has brought a civil case against a Philadelphia nonprofit planning to open up a safe injection site to combat the city’s opioid abuse problem. 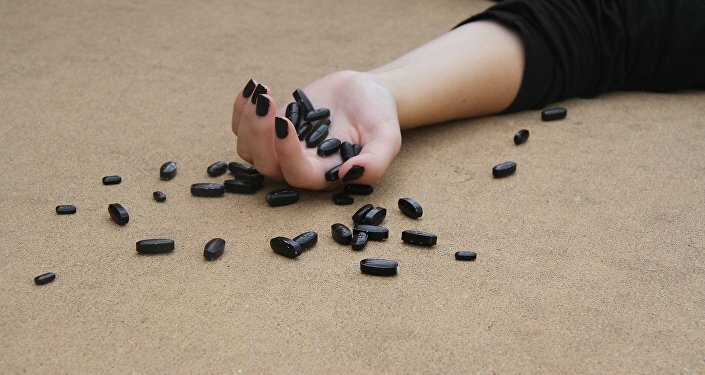 Over 1,200 city residents died from opioid overdoses last year, and activists say the present system creates far more harm than good. US Attorney William McSwain filed a civil suit Wednesday against Safehouse asking a judge to rule on the legality of safespots for individuals experiencing opioid abuse. Safehouse is nonprofit hoping to open a facility in Kensington, one of Philadelphia's poorest districts and an epicenter of the city's opioid crisis, where addicts can use drugs in a "medically supervised consumption room" where they will have access to equipment such as fentanyl testing strips, which can identify when the dangerous opioid has been mixed into heroin, the Philadelphia Inquirer reported. 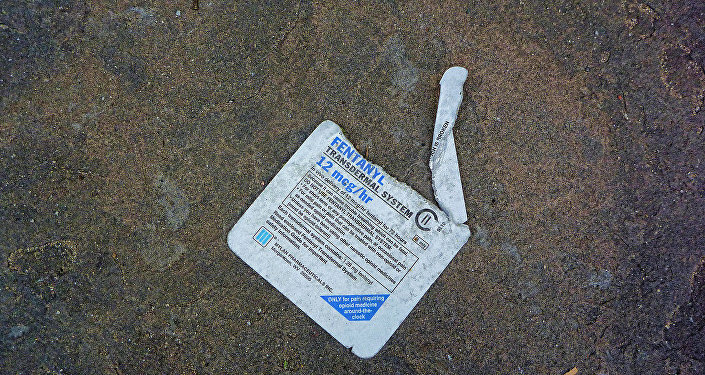 Fentanyl drastically raises the risk of death by overdose for users. Other medical treatments will also be offered, particularly for the dangerous abscesses that can form when a user misses a vein with their needle, and referrals for primary care, social services and housing would also be offered at the site. Safehouse wouldn't distribute any opioids or narcotics, except opioid-based treatment medications like methadone and suboxone, and wouldn't service minors, the Inquirer notes. Further, "Safehouse will also ban drug dealing, drug sharing, exchanging money and sharing of needles or other drug-consumption equipment. Participants won't be able to help each other use drugs, and staffers won't be able to help clients use drugs, either, though they can advise clients on how to inject without causing a skin infection. Staffers cannot handle any of the drugs participants bring in," according to the Inquirer. "Before leaving the site, participants will have to dispose of the needles they used in approved receptacles." McSwain's primary justification for the case against Safehouse is the so-called "crackhouse statute," a 1986 law that makes it illegal to "knowingly open, lease, rent, use or maintain any place, whether permanently or temporarily, for the purpose of manufacturing, distributing or using any controlled substance," punishable by up to 20 years in prison. However, McSwain's case stops short of asking for an injunction, which would specifically prohibit Safehouse from operating. Rather, McSwain asks US District Judge Gerald A. McHugh to interpret federal drug laws and rule on the legality of supervised injection sites in general, the Inquirer noted. That said, District Attorney Larry Krasner later replied to McSwain's presser comments, saying, "We are not going to prosecute people who are trying to stop people from dying. We had 1,200 people die last year. I think it is inexcusable to play politics with their lives," according to WPVI. Safehouse has enjoyed the tacit support of other government officials, including Mayor Jim Kenney, although he denied the project any funding from city coffers. Former Pennsylvania Gov. Ed Rendell, however, has joined the nonprofit's board. While mayor of Philly in the 1990s, Rendell sanctioned the city's first needle exchange program, WPVI noted. "I think it's one that should be debated," Jose Benitez, the president of Safehouse, told the Inquirer, who plans to fight the federal government's case tooth and nail. "We have a difference of opinion. We don't think we're doing anything illegal. We think we're going to set something up that saves lives. All the science tell us that. And we're going to proceed with the case and make the best argument we can." "This isn't the first time that the harm reduction movement in Philadelphia has faced repression from the federal government," freelance drug journalist Danielle Corcione told Sputnik Thursday. "It's been very clear to us that we continue to advocate for this scientifically proven reduction, prevention site, that we would be arrested, we would be criminalized." Until they can secure the necessary funding, Corcione said, "advocates want to get the word out that, contrary to popular belief… this is something that will curb death, it will combat the opioid crisis, and, ultimately, it will save people's lives. Because we have Narcan distribution in the city, we have needle exchange programs, these are things that can all be improved; but really, a safe injection site where users or consumers can safely consume while having adequate medical treatment available to them, will reduce the likelihood that someone will overdose and die." They told Sputnik that any chance the mayor or city government might have supported the safe injection site as a public health concern was stifled once the federal government came out explicitly against the plan. The Inquirer notes that a handful of other cities, including New York and Seattle, are moving towards supervised injection sites as a way to manage the opioid crisis, which claimed tens of thousands of lives last year. However, little exists in the way of positive evidence supporting the efficacy of the program. City officials cited a similar program in Vancouver, Canada, which saw a 9 percent drop in deaths and a 35 percent drop within 500 meters of a facility the year after it opened, in 2003. McSwain disputed the interpretation of those figures, citing provincial data showing that death rates rose slightly in British Columbia during that same time, although that same data also shows a horrific spike when fentanyl-laced heroin began to flood into the region in 2013, the Inquirer noted. An activist at the protest outside McSwain's press conference Wednesday told the paper, "This is a public health emergency, and this is one of the responses that needs to happen." "It's not the solution, but it's a solution. And the longer they block it, the more people are going to die," David Tomlinson, a harm-reduction advocate who helped organize the demonstration, told the Inquirer. "Abstinence doesn't work," Corcione emphasized. "We have a big problem of dependency on opioids, and we can't just expect people not to use them, and [we can't just] criminalize them, because people are dying in jails because they don't have access to rehabilitation recovery programs. And instead they're getting harassed by the police, and they're being thrown in jail, and obviously that just makes it harder for anybody to go about their life, have a job and be able to afford their own house and afford a place to live and be able to eat and function and avoid homelessness." Corcione said the need was only emphasized by the fact that Philadelphia Police Department officers don't carry Narcan, the brand name of the drug naloxone, which can block the effects of an opioid overdose in just minutes. "People are organized. People are organizing in their communities. People who live and breathe addiction, who are still living and breathing addiction, are involved with this movement, and a major part of it is putting a narrative out there that harm reduction is a legitimate thing, that it reduces harm, and kind of introducing this idea to people; because not many people are familiar with the term harm reduction, but people definitely live and breathe harm reduction every day. It's just that the systems that we have in the United States are designed to create more harm than good." "That's how the prison system works: we think that police are protecting our community by locking up ‘criminals,' when in actuality that does more harm than good in our communities by segregating people and taking them away from our communities." "A lot of people involved in the harm reduction community are also from the Act Up era, and a lot of them initially got involved with the fight against AIDS and HIV, and there's still a really big concern for black communities and how they're affected, still, by HIV, and not having adequate treatment for addiction can make that situation worse," they noted.